A cold snowy day at Grosmont with only one volunteer and the duty shed fitter in the main running shed. Only James and Colin Pearcy completed the trek to Deviation shed. Roy Marshall, Trevor Wilford and Dave Donegan attempted the journey but were unable to make it due to poor driving conditions. Nigel Hall did not even set off. With the shed opened the fire was lit as soon as possible! The first job was to fit four brass plates that I had recently had made to indicate open and closed valve positions. Holes were drilled and tapped M4 into the tender tank top. 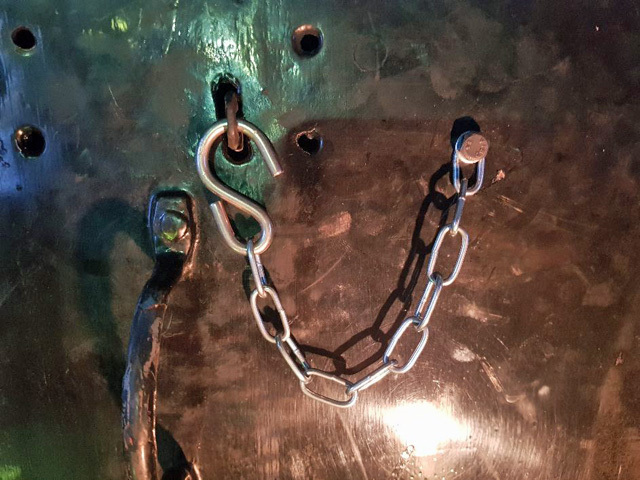 A chain/S hook was then fitted to each crew locker to prevent them opening during travel. I then ventured into the tender tank again to refit the bolts to the water valve handle supports which had been removed last Saturday. It was so cold inside the tank that the small amount of water inside had frozen! 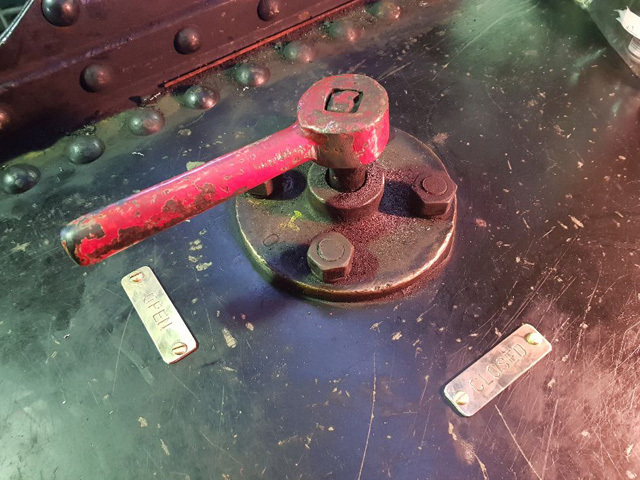 Two brass boxes were removed from behind the smokebox for repair and for brass engraved plates to be fitted; I have taken them with me to do. Copper feed pipes were removed and boxes cleaned ready for transit. At 14:30 we decided to call it a day and locked the shed up ready for departure. With frequent snow showers throughout the day we were unsure about the driving conditions on the way home. The journey out of Grosmont was fine until we reached Birk Brow road bank when conditions could only be described as dangerous! Ian Pearson didn’t make it to his NYMR talk at Pickering due to poor road conditions.